This sample of Quality Assurance (QA) Engineer interview questions is optimized to help you identify skilled candidates for your software Quality assurance position. Make sure that you are interviewing the best QA engineers. Sign up for Workable’s 15-day free trial to hire better, faster. Quality Assurance (QA) Engineers monitor all stages of software development to identify system malfunctions and help improve product quality. They are responsible for conducting tests before product releases to ensure software runs smoothly and meets design quality standards. For better results, you should check if your candidates practical skills match their theoretical knowledge. 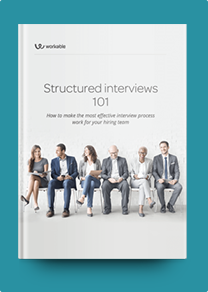 You can include specific assignments in your interview process to assess how your candidates handle software problems and if they can come up with effective solutions in a timely manner. What’s the difference between Quality assurance (QA), Quality control (QC) and Software Testing? Give me some examples of cases where it’s appropriate to conduct regression testing. What are the best types of tests to perform on web-based applications? Describe the bug life cycle. What is your role? What software automation problems have you faced? How do you determine which applications you should test? What’s your experience with object-oriented programming languages? What test cases would you write for a remote desktop feature? Are you familiar with designing test frameworks for UI testing? How do you decide you have tested enough? Describe a situation where you successfully collaborated with developers to deploy a program or application. Describe a time when you acted proactively to increase system performance. How do you keep up-to-date with industry developments? Are there specific blogs or forums you read?